The image displayed is indicative in nature. Actual product may vary in shape or design as per the availability. 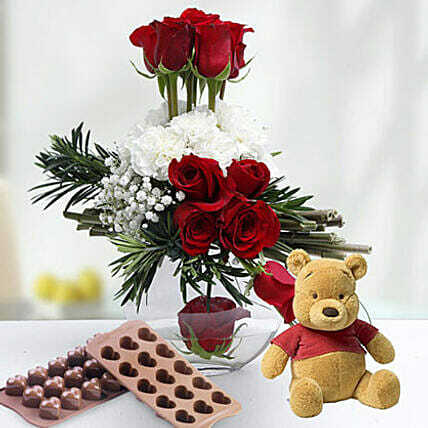 Flowers may be delivered in fully bloomed, semi-bloomed or bud stage. The chosen delivery time is an estimate and depends on the availability of the product and the destination to which you want the product to be delivered. Since flowers are perishable in nature, we will be able to attempt delivery of your order only once. The delivery cannot be redirected to any other address. Occasionally, substitution of flowers is necessary due to temporary and/or regional unavailability issues. Occasionally, substitution is necessary due to temporary and/or regional unavailability issues.